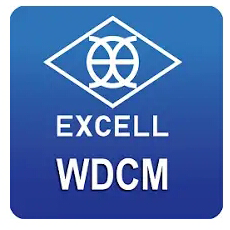 WDCM (Weighing Data Collection Mobile app, i.e. "W Data Collect"): Smart mobile device app that captures real-time weighing data from connected scales, display weighing information and send data the WDCS. WDC (Weighing Data Collection) System has two versions: Standard Version and Customized Version. Standard Version supports standard features such as weighing data capture, storage, and management, as well as real-time weight display and control, plus transaction records (users can enter customer information). Customized Version supports all standard features of Standard Version and furthermore supports client-specified functionality. For example, if a particular client need to use a barcode scanner and a label printer with WDC (Weighing Data Collection) System, then the corresponding customized version would have additional support for a barcode scanner and a label printer, allowing WDC to automatically get a product serial number from a scanned barcode and then automatically print a shipping label that includes product serial number and shipping weight. ​This video demonstrates operating procedures of a WDC (Weighing Data Collection) System, using a customized version as an example. Special customization features are demonstrated: Barcode scanner for automatic serial number reading, plus automatic label printing via a label printer. 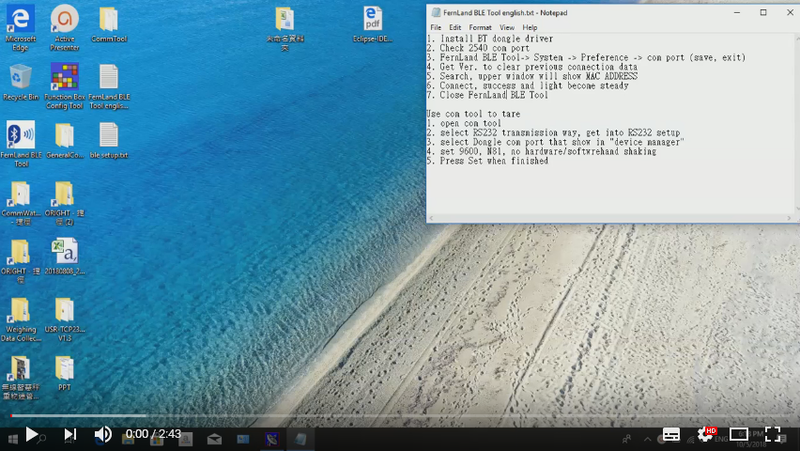 ​This is a tutorial video for installing and configuring EXCELL Bluetooth dongle driver on the computer -- using the Fernland BLE Tool. This is a tutorial video on how to use a computer to send 'tare' command wirelessly to the Scale-IoT® QWS scale -- using the Communication Tool on the computer.